That time of year has finally come and gone and I know I can breath a little easier now that it is done. I’m not talking about the holidays at all, that’s something of a beast that is still going on. No, I’m referring to the beast of a thing that all college students dread and fear, finals. Just saying that word can turn even the mightiest students into babbling, stressed out, caffeine guzzling, sleep deprived shells of their former self. When it’s looming close or actually happening, I feel like I’m running on emergency reserves for power and the back up system for the brain. It is define toy not something that I enjoy or would recommend to people. But now that week is over, Fall semester can be put to rest, and we can focus on other things. Since my time was limited between working and school I didn’t do a lot of knitting. Which you would kind of expect since time is very limited with all of the classes, homework, studying, group projects, and working at the same time. Which you have to include the normal things that you can’t skip out on as well such as sleep, eating, caffeine (being super important), so something had to give and unfortunately it was the knitting. There is one thing that I have been really working on which is another Color Craving for my mom. She really liked the one that I did last year when all I had was time. I told her that I would be more then happy to make her one, but that she couldn’t have mine. 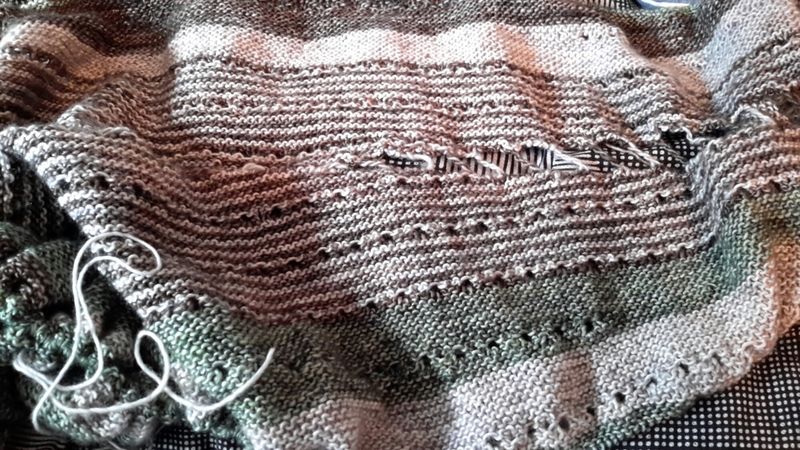 I am knitting it out of stash yarn, some Madelinetosh Tosh Merino Light in Whiskers, Grey Gardens, and Whiskey Barrel. It’s pretty close to being done, just two more rounds and then I’m going to do the same icord treatment that I did before with my original. With my new found extra time I am going to be knitting more, which means that I’ll have way more to talk about. I also have a few things planned that I think you all will enjoy seeing. But for now, there isn’t that much to show. But that doesnt mean that there will not be more stuff coming soon.